A Great White Shark rapidly chases bait in front of a camera off the coast of Guadalupe, Mexico. 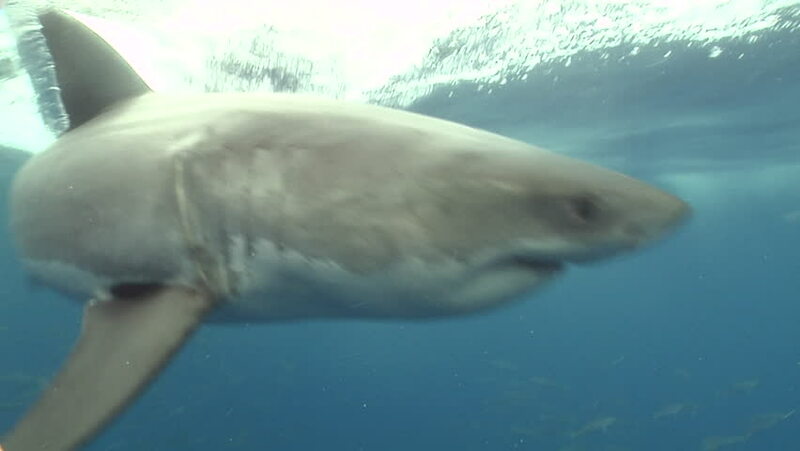 Carcharodon carcharias, or the white shark, is the most talked about shark in the ocean. hd00:20White Polar Bear eats dead whale in water of Svalbard. Travel into world of wildlife in Arctic. Dangerous animals in search of food in Nordic badlands. hd00:06White sea bear near a dead whale in water at the rocky shore of Svalbard. Travel into world of wildlife in Arctic. Dangerous animals in search of food in Nordic badlands. hd00:08White Polar Bear eats dead whale in water near rocky shore of Svalbard. Wildlife in Arctic. Dangerous animals in search of food in Nordic badlands. Unique natural landscape of Spitsbergen. hd00:09Gullfoss waterfall wide in spring with snow and rocks in foreground.